30% deposit to secure booking. Balance 30 days before arrival. Cleaning fee of £50.00 charged on all bookings in addition to booking fee. £250.00 refundable damage security deposit along with balance payment 30 days before arrival. Security deposit will be refunded within 48 hours of checkout subject to no breakage or damage. If you want to book or enquire about booking, please view our website www.rockleyholiday.co.uk for the latest pricing information. We do not automatically synchronise the calendar from our main booking system to this website. 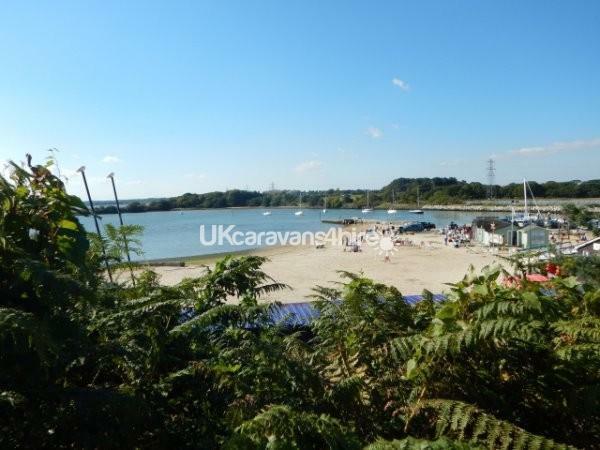 Sited in the premier 5 star Rockley Holiday Park on Pine Ridge with an amazing view over park of Poole Harbour from the large deck area. 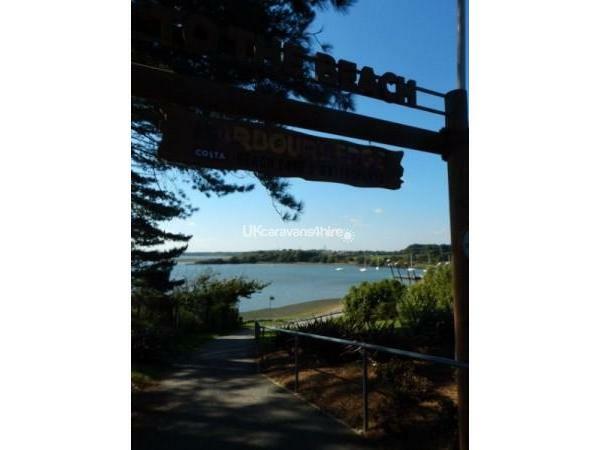 Just a short walk from the Rockley Beach Club, Watersports Centre, Marina and Boatyard. 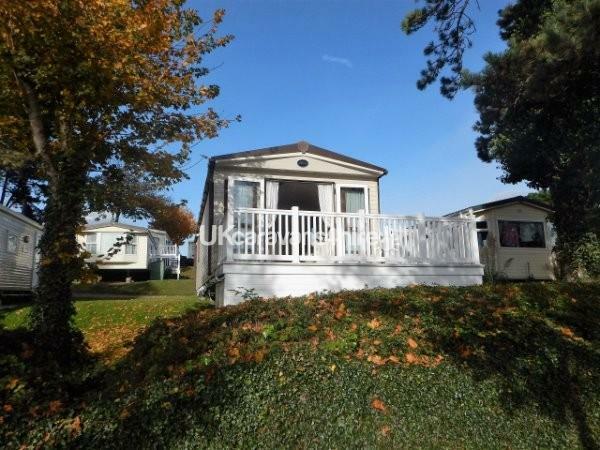 Rockley Park is the ideal location for a family holiday. Whether its sundowners on the beach, or on the balcony of the holiday home. Through to kids activities and games, or perhaps a quite weekend getaway with a massage or two in the local spa. The park has it all. 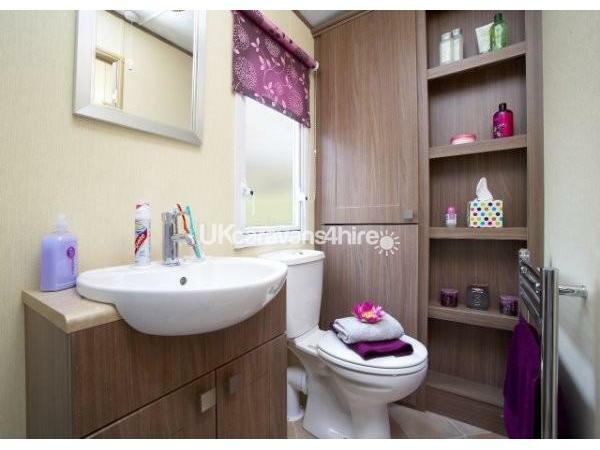 The holiday home has two bedrooms. 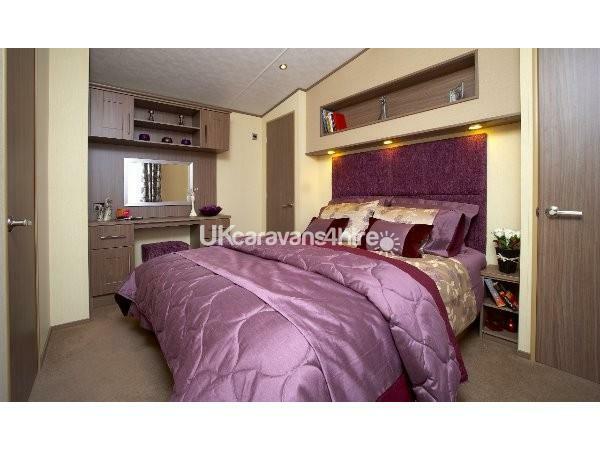 The master bedroom is en-suite and includes a walk in wardrobe. 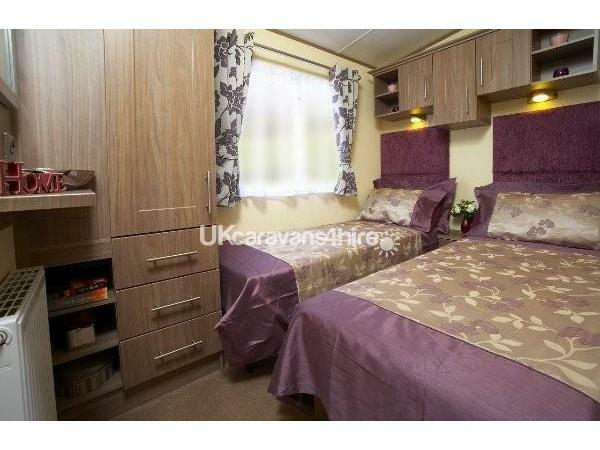 The second bedroom has two single beds for the kids or they can be pushed together to make a double bed. 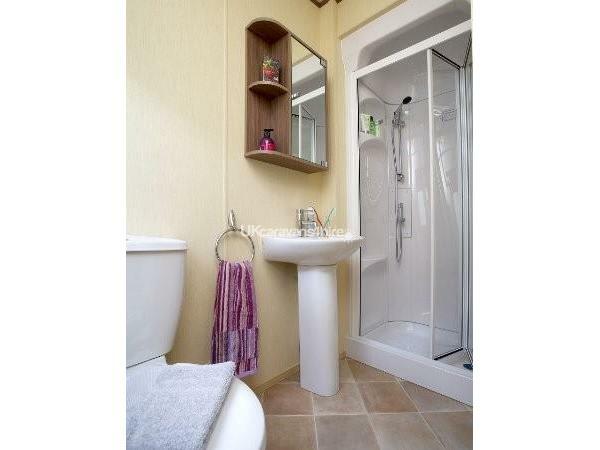 There is a large shower room servicing visitors and guests. 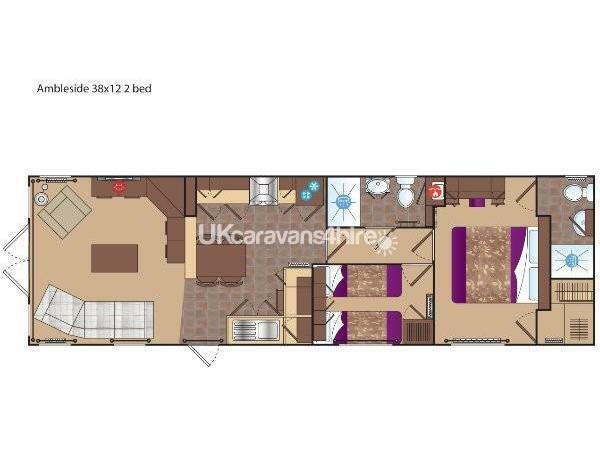 The large open plan Kitchen/Lounge has all the conveniences of home with a microwave, integrated Dishwasher, integrated Washer/Drier, integrated Fridge/Freezer and gas oven and cooker. 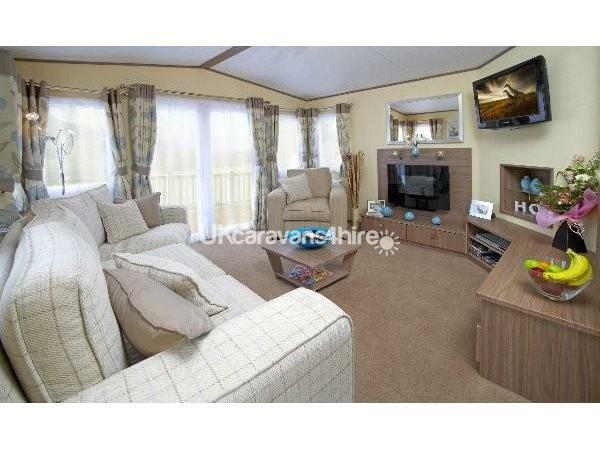 The lounge has free standing furniture with a pull out sofa which creates another double bed should you need it. There is also an electric fireplace in the lounge. Two TV's are fitted, one in the lounge and one in the master bedroom. The home is insulated, double glazed and has gas fired central heating that is thermostatically controlled. 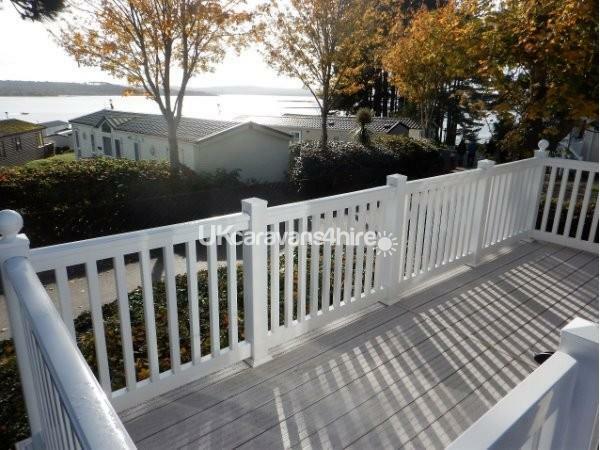 There is a large deck area overlooking a part of Poole Harbour. Outside the holiday home there is private parking for two cars. 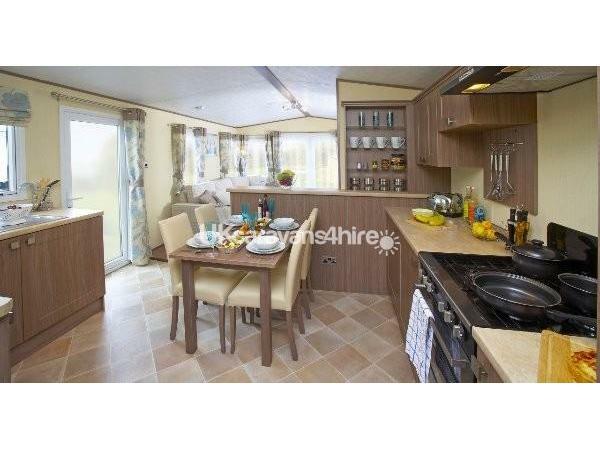 (This holiday home sleeps 4 in two bedrooms, and then an additional two on the double pullout sofa bed. if you use the sofa bed you will need to add the extra guests service fee which will cover the linen etc for the additional guests).